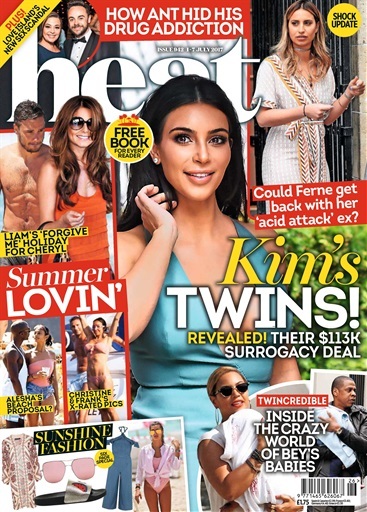 In this weeks Heat Magazine; Beyoncé and Jay Z aren’t sparing ANY expense when it comes to their new twins, Ant McPartlin kept his drug battle a secret from everyone – even wife Lisa, Kim and Kanye are hiring someone to have twins for them. Could pregnant Ferne McCann ever get back with her “acid attack” ex?. Alesha and her man get handsy at the golf in Italy, while clumsy Frank Lampard falls headfirst into wife Christine’s crotch in the South of France. 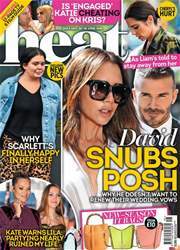 We have all the best celebrity news that we know you'll want to read.